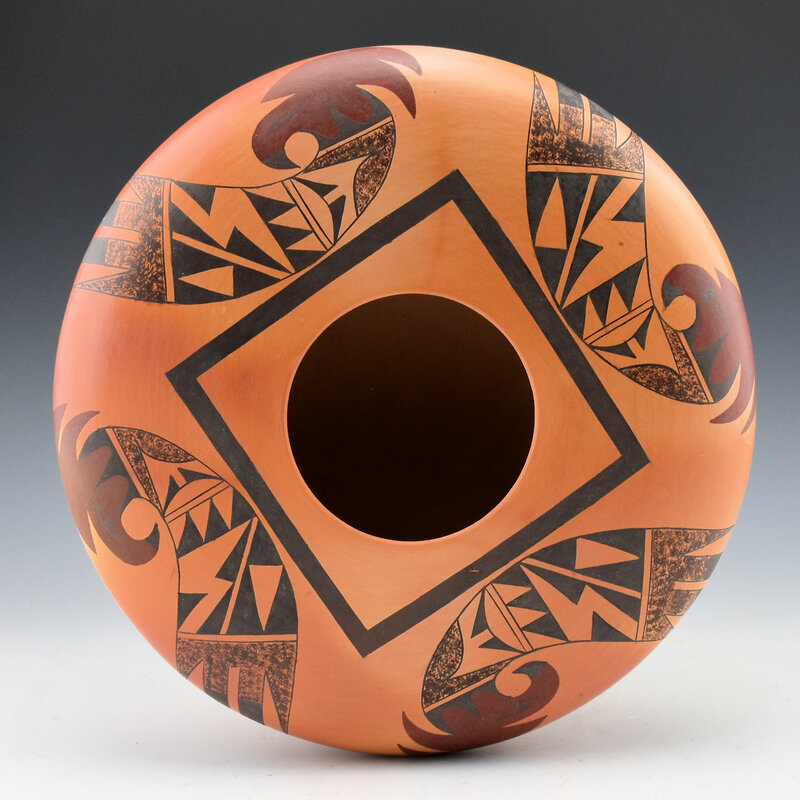 Garrett Maho is known for his traditional and innovative Hopi-Tewa pottery. 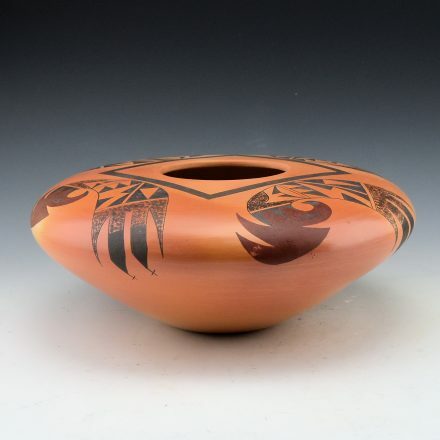 This bowl has four birds in a swirling or tumbling motion around the top of the piece. They are painted with a deep red clay slip as well as the black which is painted with bee-weed (a plant). The bowl has been traditionally fired so that there are blushes on the surface. The piece is signed on the bottom in the clay.